2006 VOLKSWAGEN NEW BEETLE CONVERTIBLE Printer Friendly Flyer. 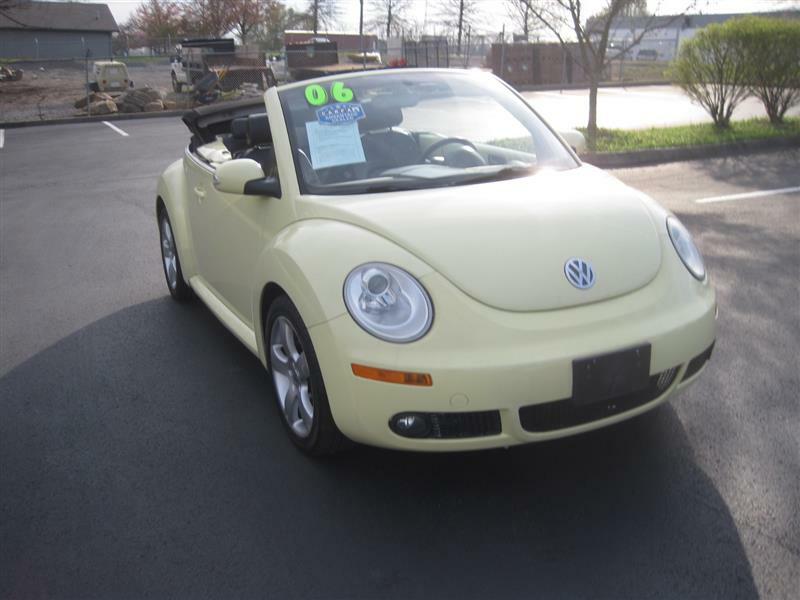 A real nice and sharp looking 2006 Yellow Convertible VW Beetle GLS loaded with extras. A local car with clean Carfax history and service records performed by VW Dealership that can be viewed on line at our website. Just serviced with Brand New Top, Brand New Tires, Brand New Brakes and Battery and ready to go to have fun with the top down. Come see it before its gone at this low price.